Apothecary- that is what they used to call someone who would create remedies and dispense medicines to those who needed them. Apotheca, means a place where wine, spices and herbs were stored. Apothecary came to mean the person who would stock these and often offer general medical advice, and sometimes even offered some basic medical services. “The word apothecary, in the Norman period of English history, designated anyone who kept a shop or store of such nonperishable commodities as spices, drugs, comfits and preserves. During the later Middle Ages, the term was restricted to those who prepared and sold drugs. Not until the end of the 18th century were the professions of apothecary and physician clearly distinguished.” Harold B. Gill, Jr., The Apothecary in Colonial Virginia. said, "Healing is a matter of time, but it is also sometimes also a matter of opportunity." Herbs offer that opportunity in all cultures throughout all of history, including our modern medicine. 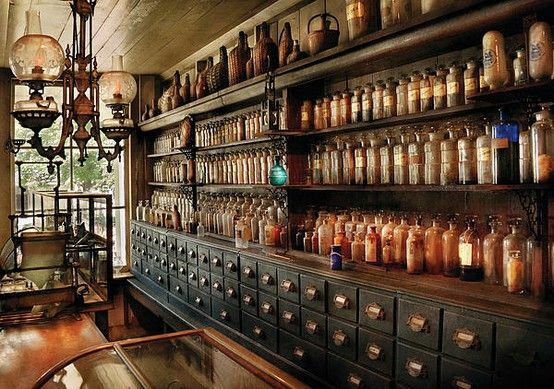 I personally love the pictures of the old time apothecaries that we see. I can imagine as I walk into that old time shop, the smell of something brewing, and all of the antique jars, containers and labels. The blends of spices and colorful containers full of all types of herbs and spices. It is a dimly lit place with an old wooden floor. There is an older gentleman behind the counter grinding up some herbs with his mortar and pestle, with his apprentice faithfully standing by to learn every little detail. It is quite the lovely picture in my mind - simple, pure, and of the earth. Oh the simple life! were a third room, it likely would have been a room used for consulting with customers or patients. The apothecary garden plot was located in the back yard, where the herbs would be growing that were used in the remedies. This apothecary could identify all of the plants, and describe how to use each of them. He knew the details of many, many different materials and it was his job to make sure you got the right thing for the right symptom. sweet or stinking…everything in the universe in their own nature appears beautiful to me.” John Bartram, 1740. John Bartram was America's first botanist, and was curious in wanting to learn everything about the world around him. 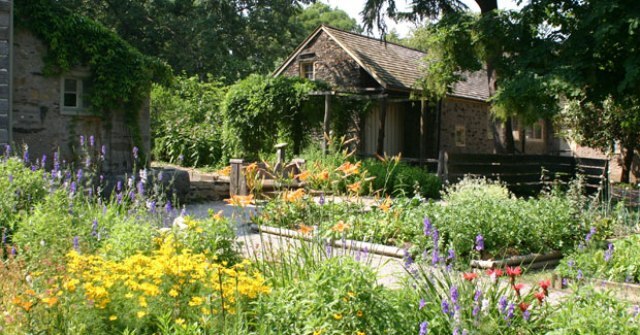 Canada, hosts the oldest botanical garden in Canada. It contains five gardens and is spread over 70 acres of land. One of its gardens is the Physick Garden, which is recreated to represent a 16th century monastery herb garden. It is grown in raised brick beds, with traditional plants that are all used for medicinal purposes. Diseases used to be classified as symptoms. The apothecary would work with the symptoms of the patients and would prescribe a remedy that would work for a specific symptom. An apprentice would usually get into this profession by showing interest in what the apothecary was doing, or by having an interest in plants and herbs. Often today, this is still how herbalists and other natural types of medical professions learn, by someone who has already learned the ways, and is training apprentices. And of course by reading lots of books. It is always a good idea to have a library of reliable books on hand that you know in and out and can reference quickly. can sometimes be worse than the original symptoms. This has created a movement within our culture to get back to natural health. We see health food stores everywhere now, and more and more people are studying alternate medicines with hopes to get back to healing our bodies without the use of drugs. 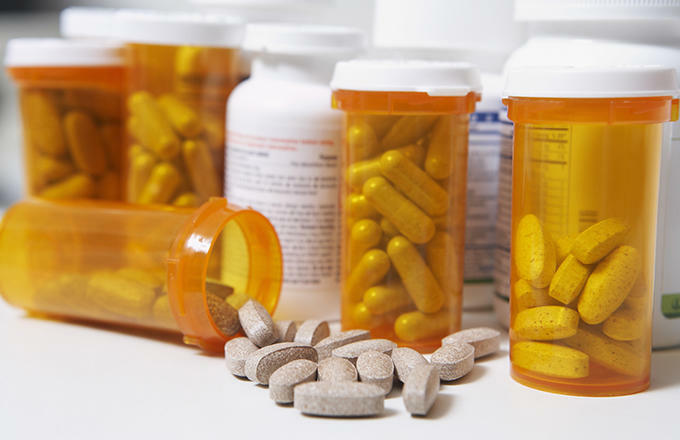 Pills, tinctures, lotions, essential oils, teas, and so many other kinds of remedies are readily available. These more closely resemble the apothecary of old, minus the apprentice and the teacher. There are those of us who want to keep this art of old world medicine alive, and have decided to pass it along to the next generation. And in this process of my attempting to keep it alive, I have come across some things that are just essential in my home apothecary. There are some herbs that are must haves, and some that are good to haves. There are some essential oils that are must haves also. There are also many other basic products that are essential to make the remedies. An apothecary doesn't just consist of herbal products, there are also tools that are essential to make things work. 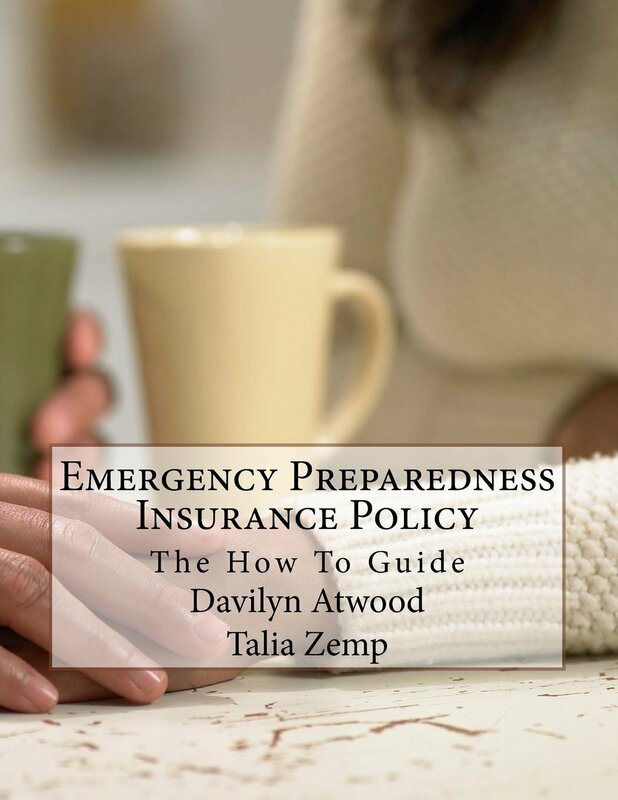 In the following pages, we will cover the essentials of what your home apothecary should consist of, and some home remedies that are good to know and easy to make. I would suggest that you take it one step at a time as well. Don't just dive in and expect to do it all at once. Experiment with one or two herbs at a time. Test it in everything and every way. Learn all you can learn about that herb. The best way to do it is a little at a time, so you don't get overwhelmed. Good luck. Most of all enjoy!